And today I have a pleasure to show a couple of pictures of 6 mm Great Plains Indians. They are sculpted by Marcin Szymański. They should be available at the beginning of spring. There are Native American chiefs, warriors, dismounted warriors and camp defenders. Hope you like them. Quite cute figures. The native americans reminds me of the old Airfix figures. Very nice painted figures! Reminds me of H.C. Andersen's story about the tin soldier. 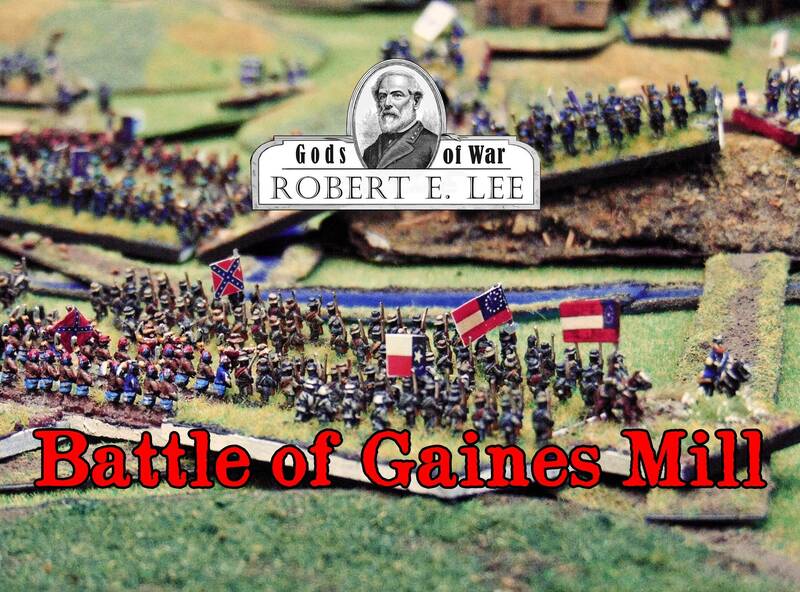 We invite you to watch our movie from the battle of Gaines Mill, which we played on January 19th at Bolter.pl, of course using Gods of War: Robert E. Lee wargaming rules. On the afternoon of June 27th, General Lee begins his attack with overwhelming forces on General Porter's separated corps. Will he be able to destroy the Union forces before the night? The fate of Richmond and the entire Confederacy is at stake.